Just 24 hours after the public release of iOS 12, Apple has kicked out the first developer beta of iOS 12.1. It re-introduces Group FaceTime and includes a number of hints about new iPads that we may see this fall. Updated 09/20/18: iOS 12.1 beta 1 is now available for public beta testers. Developers can head developer.apple.com to download the beta or add the beta profile to their devices. Non-developers who want to be part of the public beta test can head to beta.apple.com using the device on which you want to run the beta, where you can sign up and download a beta profile. If you still have the beta profile installed after upgrading to iOS 12, your device will download it automatically as a regular iOS 12 update. Note: If you were in the developer beta for iOS 12 and do not want the 12.1 beta, head to Settings > General > Profile on your device and delete the iOS 12 beta profile. Caution: There is currently no restore image on the developer site for the iPhone Xs or Xs Max. If you are planning to make a full backup of your iPhone and restore it onto your new iPhone Xs when it arrives on the 21st, you may not want to grab this beta. In the past, Apple has posted the images on launch day, but sometimes hours after the first devices start arriving. Group FaceTime: Apple removed this iOS 12 feature from the iOS 12 beta back in August, and promised it would come in an update to iOS 12 later this year. Early reports indicate that it’s back in the 12.1 beta, but that doesn’t mean it is going to be part of iOS 12.1 when released to the public—Apple may simply be getting it back out there for additional testing. Hints about new iPads: iOS 12.1 includes code hints for Face ID support in landscape orientation, presumably for upcoming iPad Pros. Also, the Xcode Simulator for iOS 12.1 supports output resolutions up to 3,840×2160 (4K), which suggests that maybe the rumors of a USB-C connector on the new iPad Pros, with support for 4K external monitors, is true. Measure app improvements: Some early testers are reporting that the Measure app is a bit faster and more accurate in iOS 12.1. 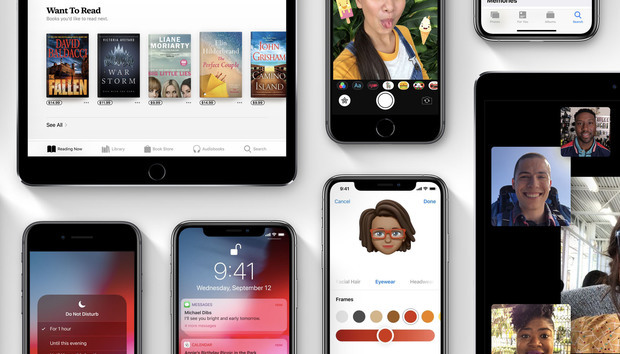 We don’t know everything Apple has in store for the evolution of iOS 12, but we know there are some already-announced features that are “coming in a future update,” which means we can expect to see them in an iOS 12 point-release this fall. ECG in the Health app: The Apple Watch Series 4 includes the ability to take an ECG (in the U.S. only) but the Health app in iOS 12 doesn’t appear to have a data set for it yet. That’s going to need to be added. Dual-SIM capability: The iPhone Xs, Xs Max, and XR feature dual-SIM capability, when supported by carriers. But it’s not going to be there right at launch—it’s coming in an iOS update later this year. That could be iOS 12.1, or it could be a later revision. New emoji: There are a bunch of new emoji coming to iOS this year as part of the Emoji 11.0 standard. They didn’t make it into the initial iOS 12 release, and will likely come in a point-release update.